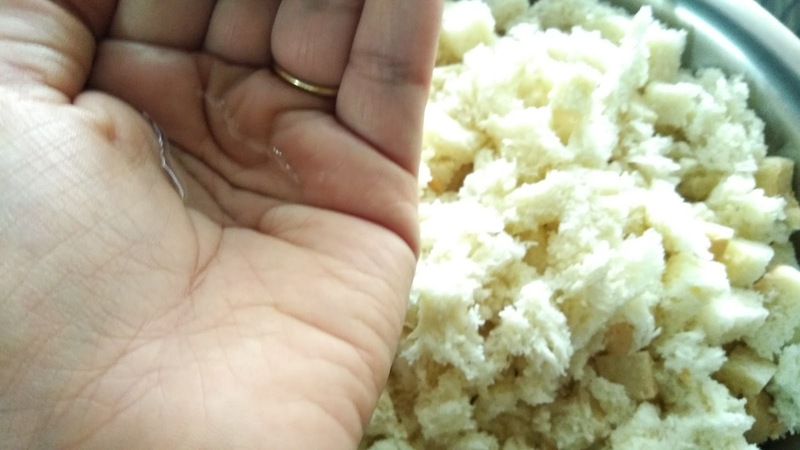 These days bread upma is very famous. I remember it having a lot during my childhood. I am not very fond of it but kids like it, so for the sake of kids I tried my hand on it after ages. 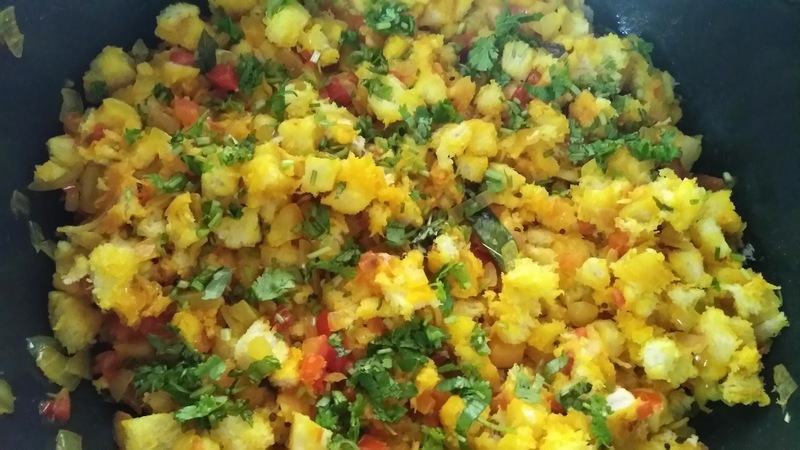 Here is one of the simplest and quick tiffin recipe for school kids. Trim the edges of bread, take 3-4 edges and crumble them roughly with hand. Slice bread in cubes as shown in pic below. 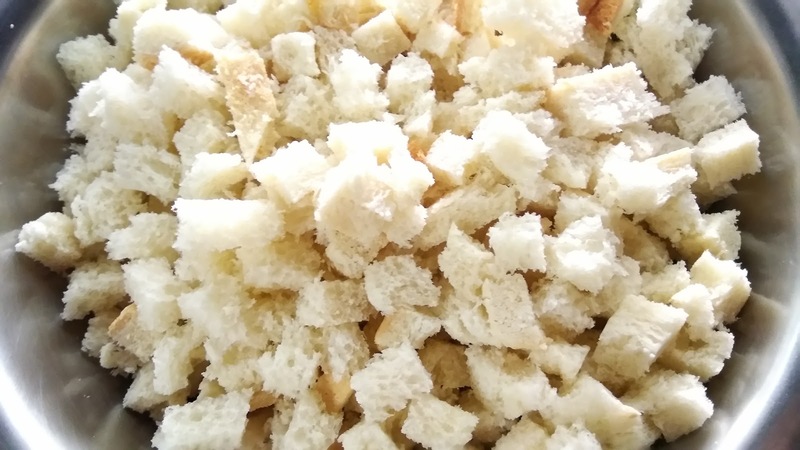 Mix crumb in cubed bread. Sprinkle some water over bread cubes nearly 1/4 cup but in batches tossing the bread cubes simultaneously, to make all the cubes moist. 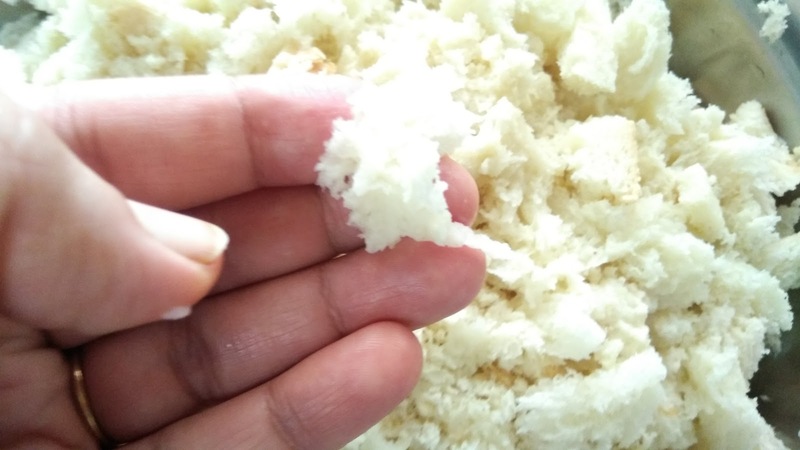 Take around 3-4 edges of bread and crumb them using your fingers. 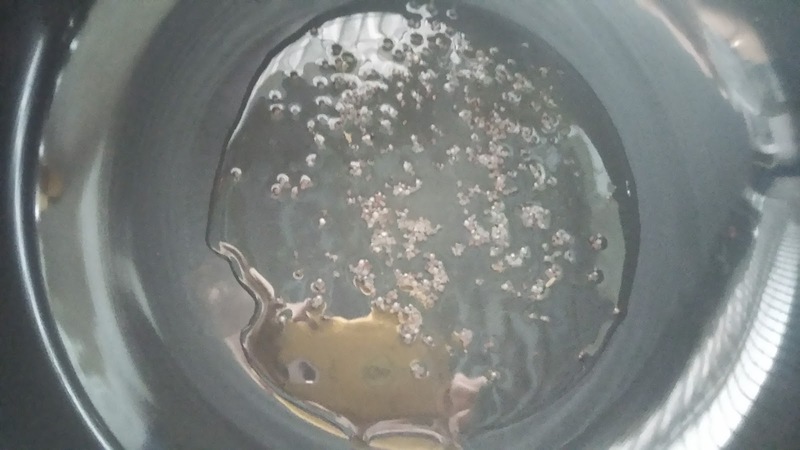 Put some oil in large pan, add mustard seeds, let it splutter, add curry leaves. 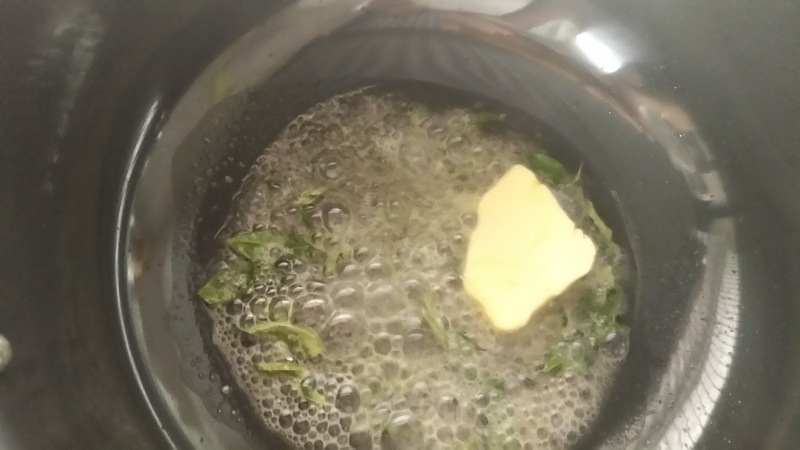 Now add butter let it melt. 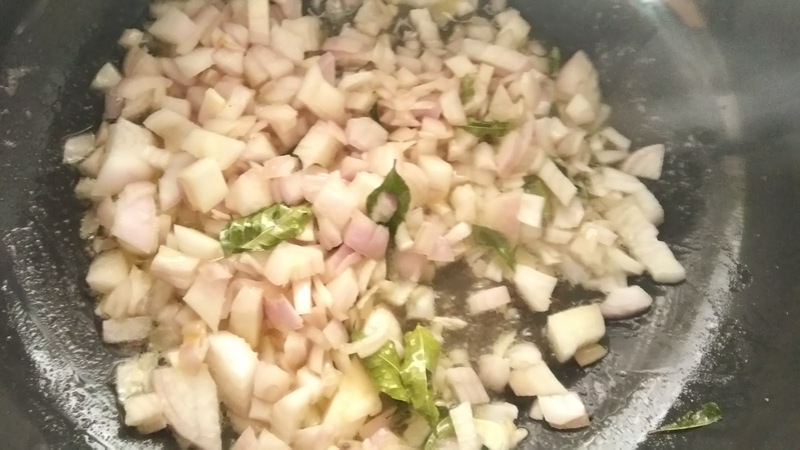 Add onion and saute till golden in colour. Add turmeric and coriander powder with salt and pepper. 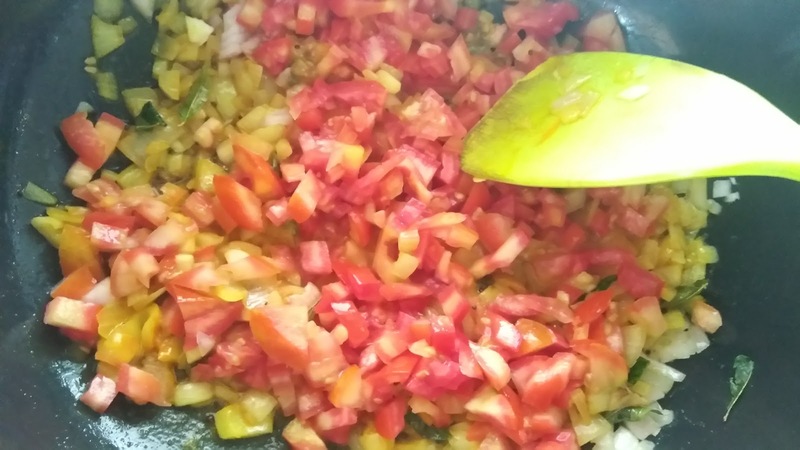 Add tomatoes and cook till soft and tender. Add sugar. 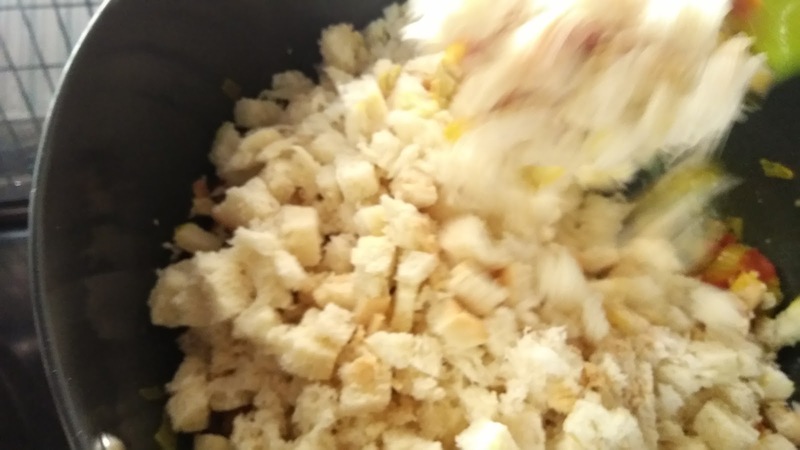 Finally add cubed and moist bread. Mix well till all the masala is well coated. Turn off and serve with tomato sauce or pack in kids school tiffin box. 1. Sprinkling water over bread cubes will keep them moist for long time and help masala to get coated well. 2. 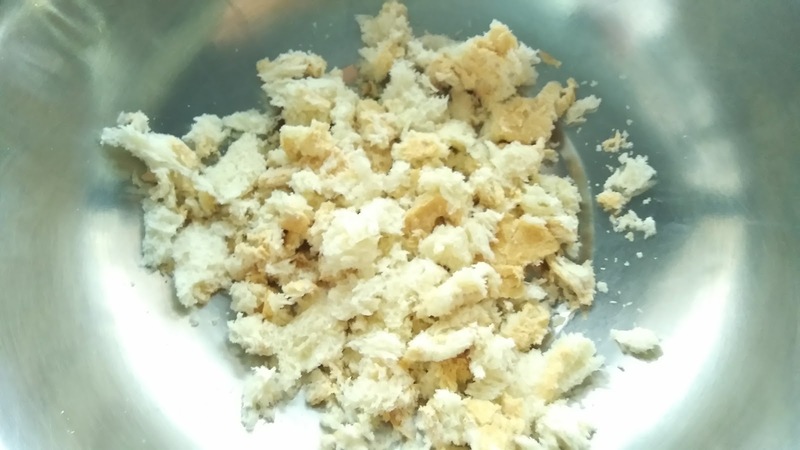 It’s advised to make more masala otherwise bread it will taste bland. 1. 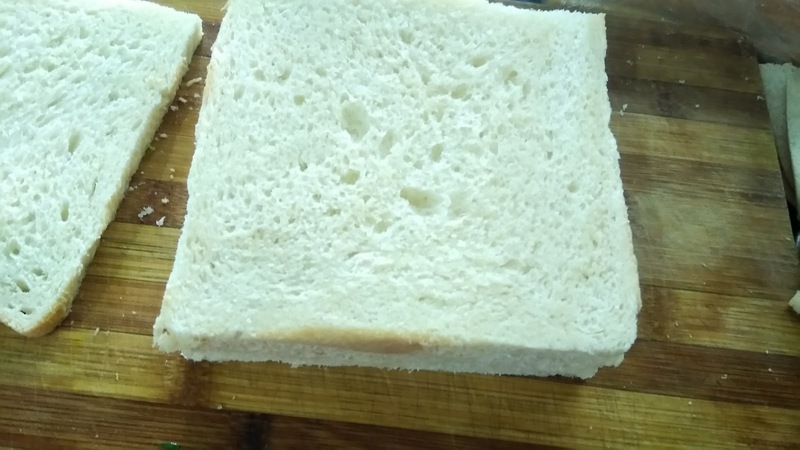 Trim the edges of bread. 2. Crumble 3-4 leftover edges likes this. 4. Cut bread into cubes like this. 5. Mix crumbled bread in this and sprinkle around 1/4 water on bread cubes. 6. You can see the bread have become moist and soft. 7. In large bowl, add some oil and mustard seeds, let it splutter. 9. Saute onions till it sweats. 10. 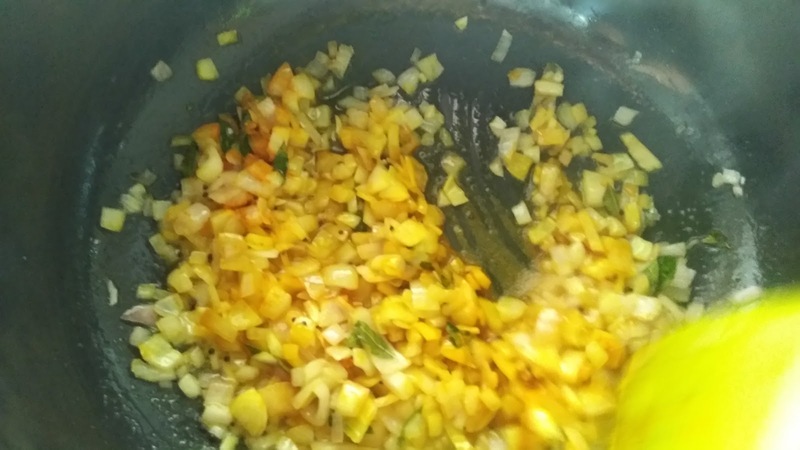 Add salt, pepper, turmeric powder and coriander powder. 12. 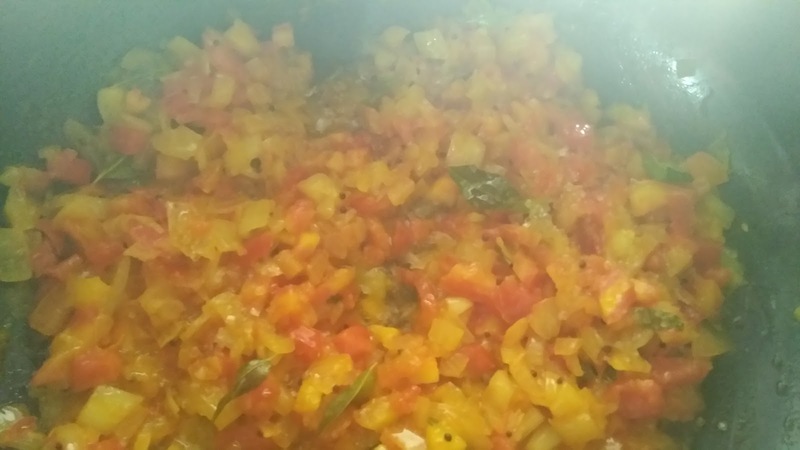 Cook till becomes tender and soft. 15. 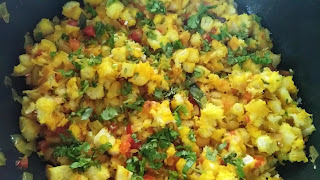 Mix well till masala is well coated, cook for another 2-3 minutes, garnish with freshly chopped coriander leaves and serve.